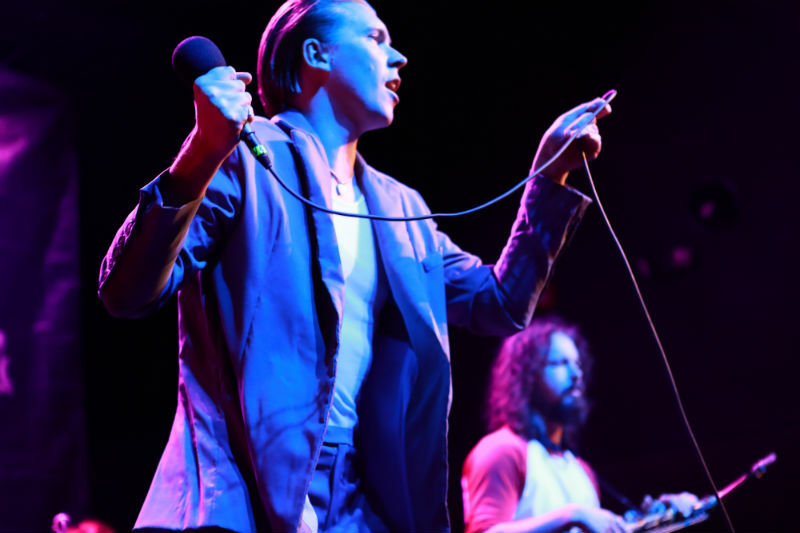 We were witness to the magic that is Alex Cameron (and Roy Molloy). 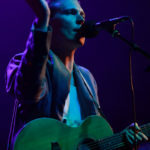 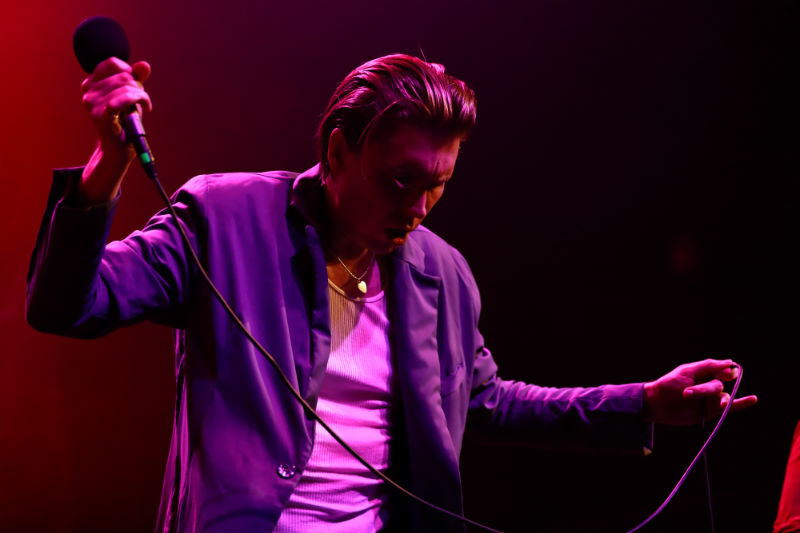 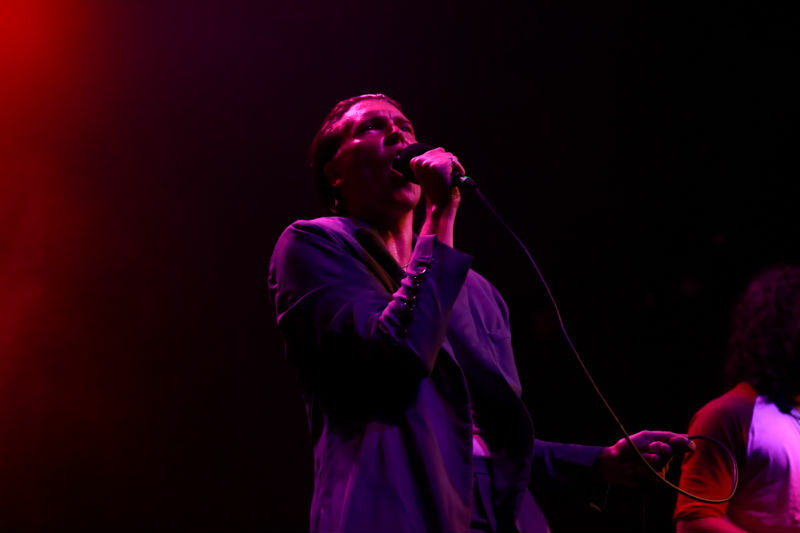 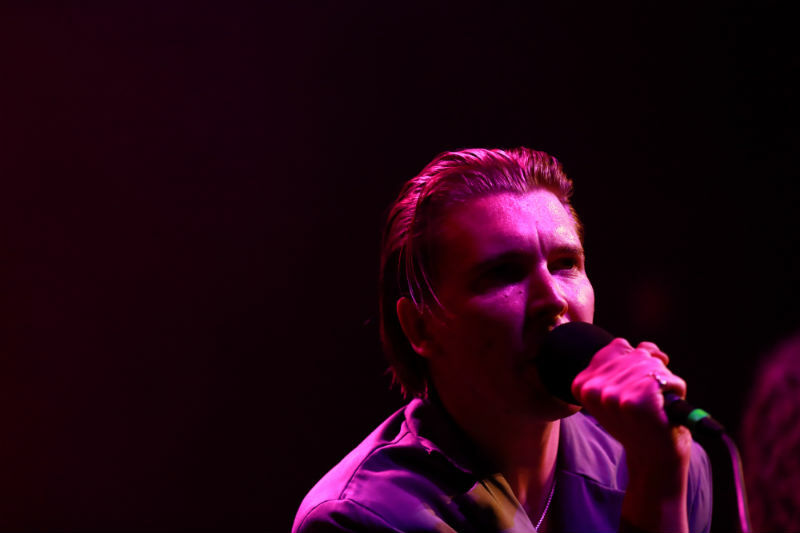 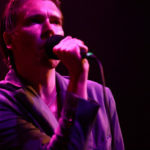 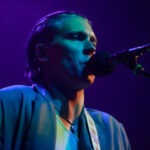 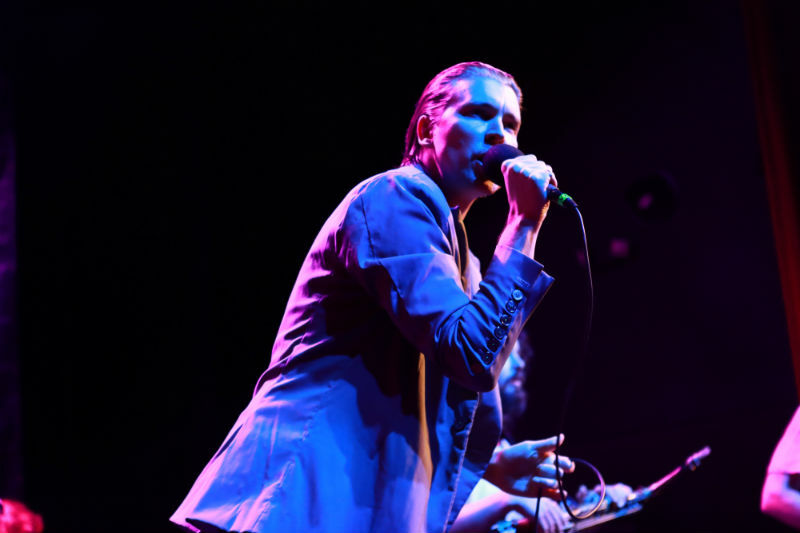 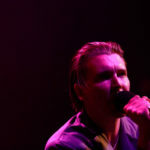 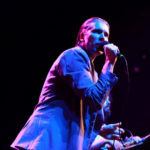 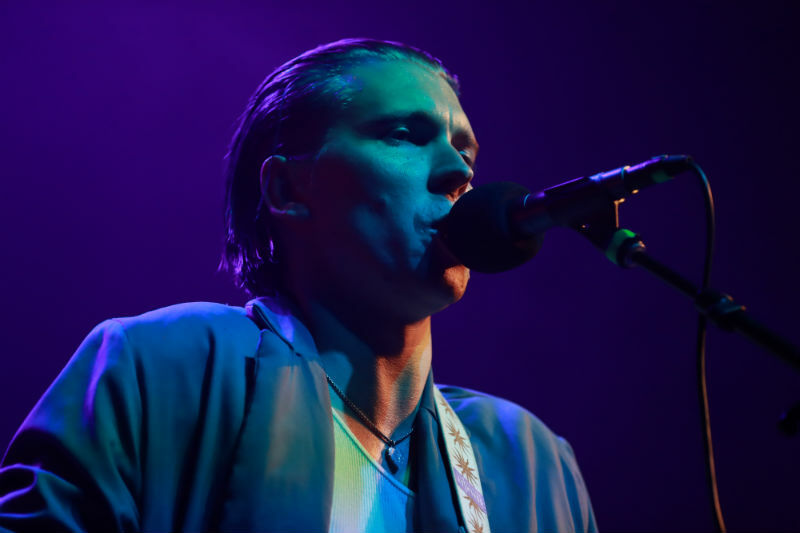 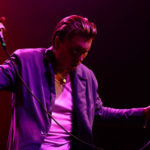 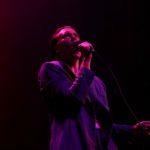 Alex Cameron played White Eagle Hall in Jersey City, New Jersey on August 1. 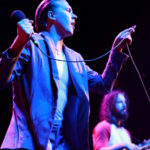 On his latest release Forced Witness, songwriter/storyteller Alex Cameron explores the psyche of the down and outs, from the sleazy of “Stranger’s Kiss” to the creepy of “Studmuffin96.” He crafts a truly “woke” pop song, one that makes you sway to the rhythm and belt out the chorus, but also contemplate the darkness of the subject matter. 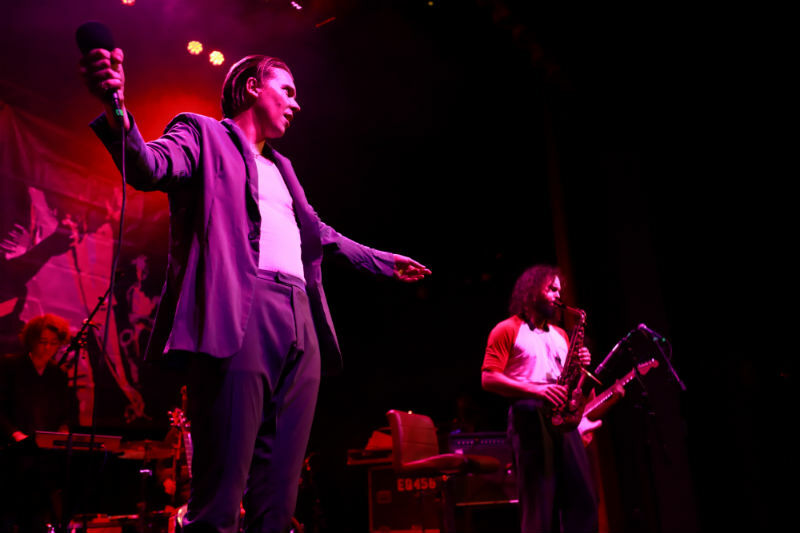 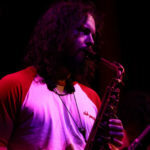 The band’s live performance was oh so entertaining, with Cameron and band dressing the part, and saxophonist/”business partner” Roy Molloy acting much the same as he does in their music videos (stand and play, then sit and stare emptily out into the crowd). 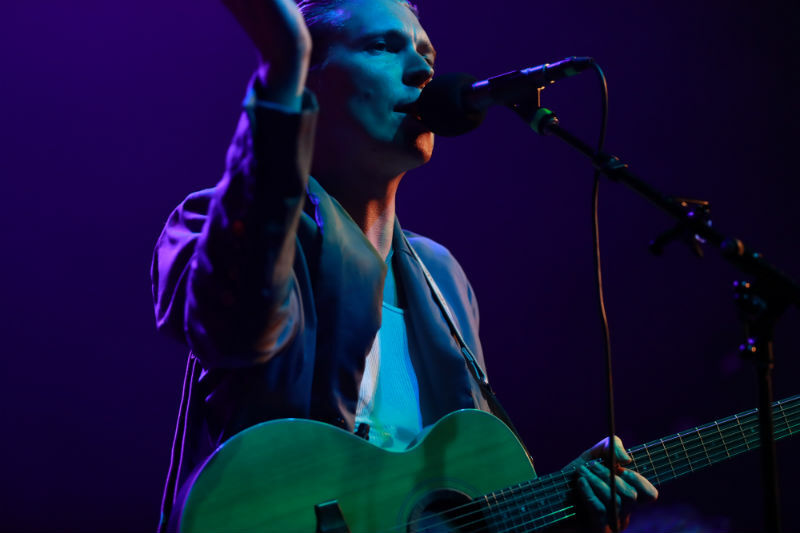 Cameron’s energy was infectious, people (including girlfriend Jemima Kirke in the front row) danced and sang along throughout his set. 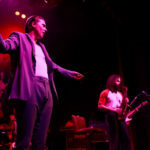 Also entertaining? 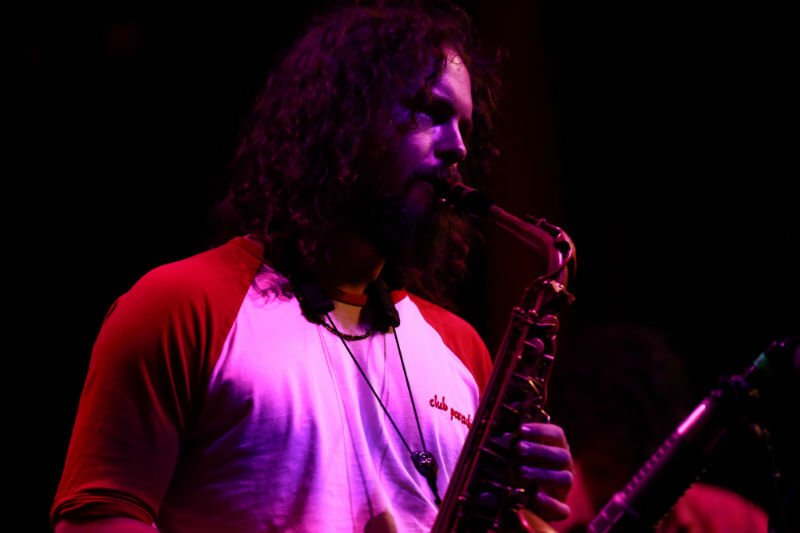 The band merch, which consisted of ill-fitting, throwback gray or orange tees that read like a business card Cameron, Molloy and Associates (with Molloy’s real phone number). 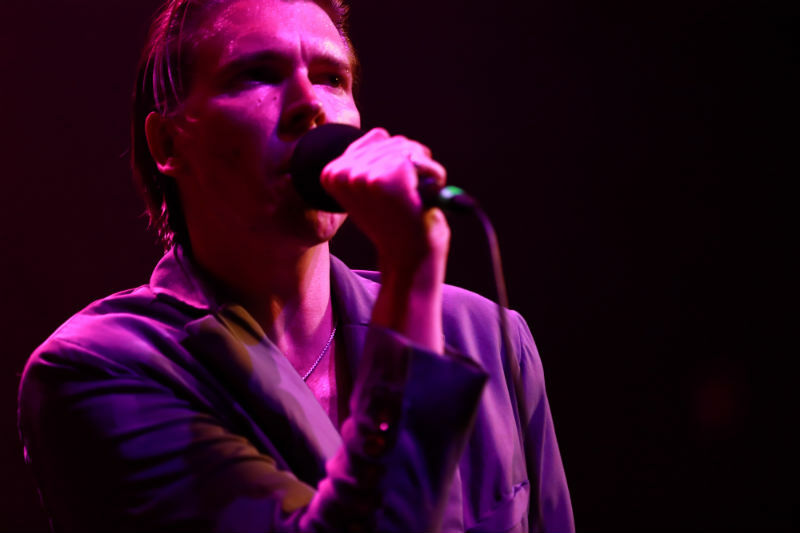 Click here to explore Ann Arbor, MI on Culture Collide.